I had really hoped to get a hold of the Doctor Who level pack today as my local shop had told me they would get the second wave today. Unfortunately they got all but the Doctor Who level pack. 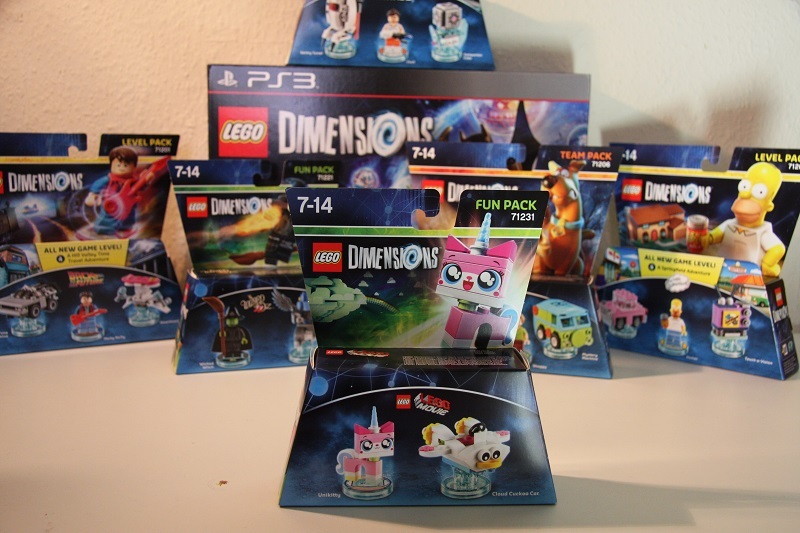 I did get the Unikitty fun pack, and for the fun of it i will make it my first review ever of a LEGO set. Also offcourse my first review here on EuroBricks. 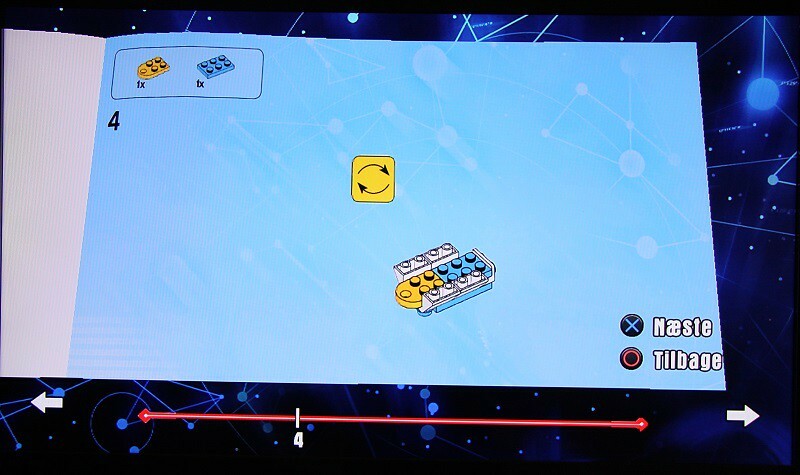 So another member just entered my LEGO Dimensions collection. 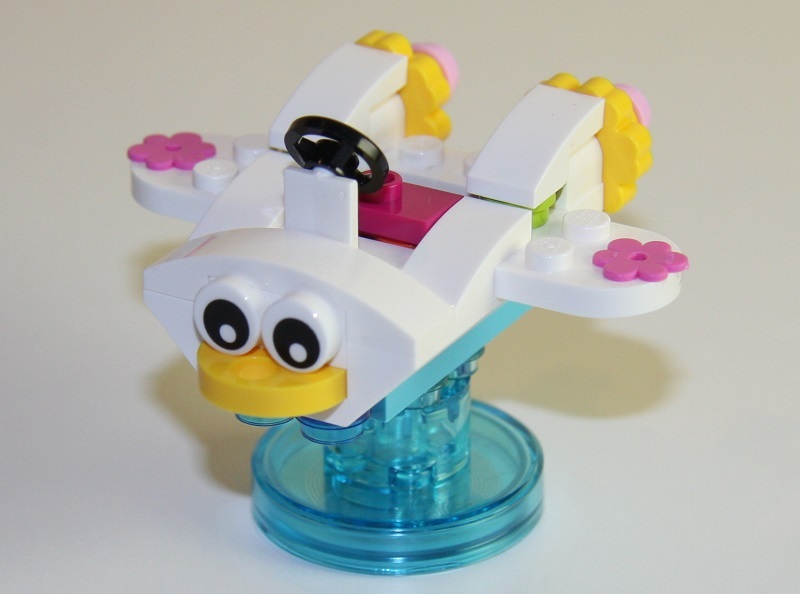 Shows Unikitty on her chip and the first variation of the Cloud Cuckoo Car. I really feel the build for the Cloud Cuckoo car looks promising. Shows the three variatoins of the Cloud Cuckoo Car, also their is the X-Stream Soaker and the Rainbow Cannon. The content of the box reveals two bags, and the building instructions. 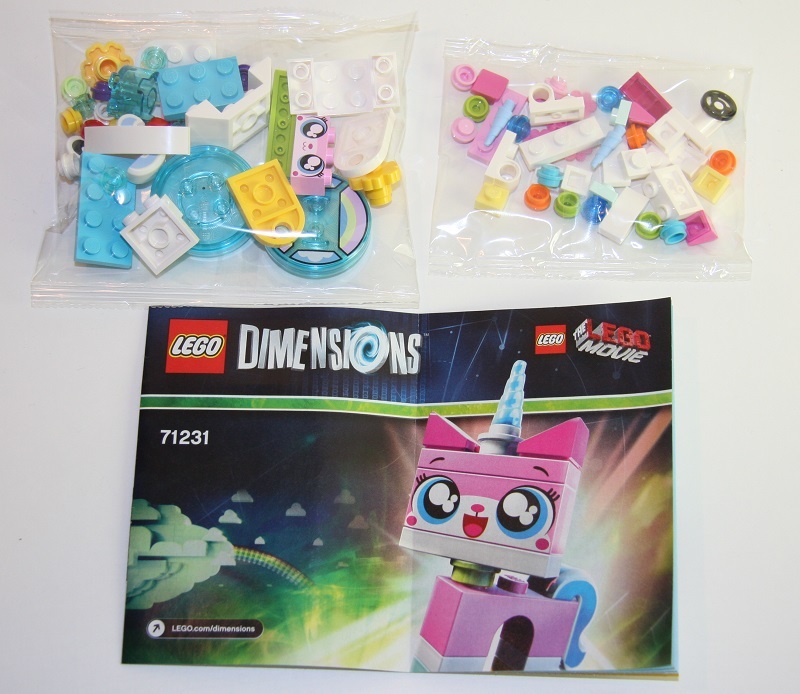 Note as always, only building instructions for the mini figure or in this case Unikitty is available in the instruction booklet. The remaining build must be build from ingame instructions, or is available on www.LEGO.com. Funny that they show two variations of Unikittys head, even though only one side is printed. However at the time of my review, no instructions was available yet online. 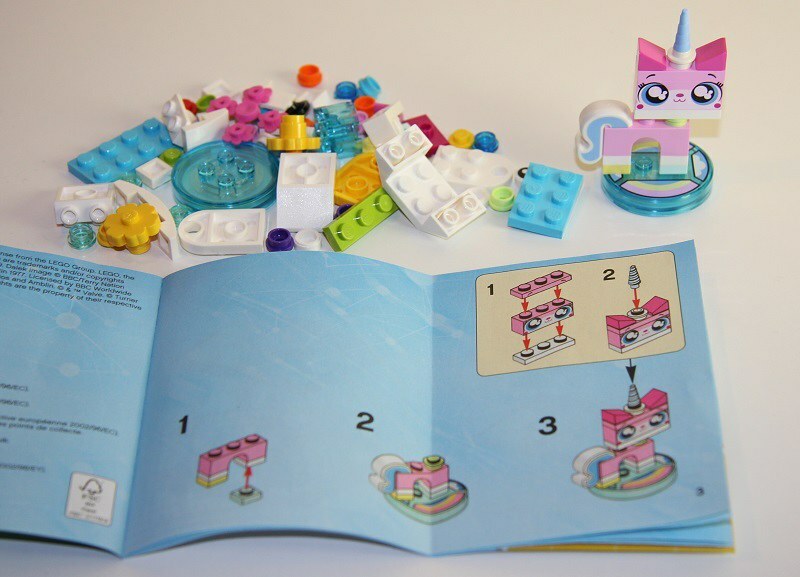 Step 1-3 lets you build Unikitty quite easily. You will have to open both bags to get Unikitty build. 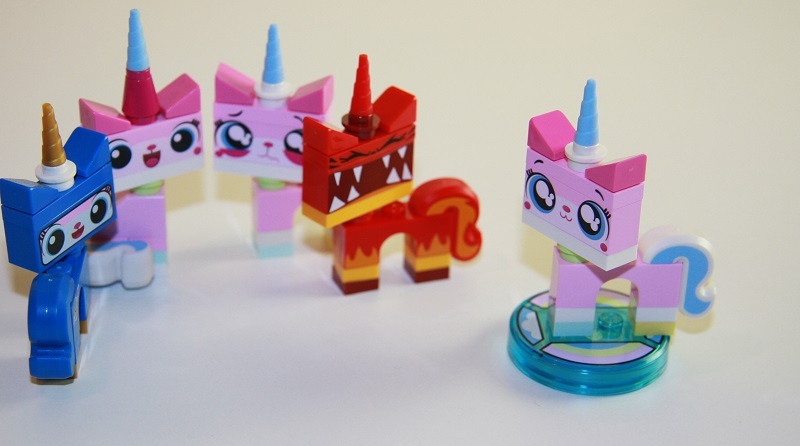 Unikitty meets up with some fellow companions of hers. As far as i know this is a new variation of the Unikitty 1x3 headpiece. 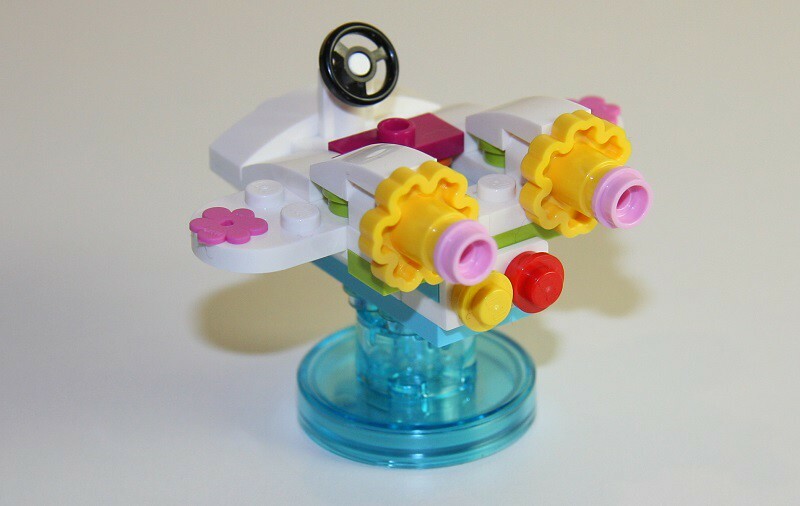 Time to put Unikitty on the Toypad for some disco and load her ingame to get the instructions to build the Cloud Cuckoo car. A random instruction, in this case step 4 for the Cloud Cuckoo Car ingame. I dont know how to take screenshots from a PS3, if its even capable of it, so i had to just use my camera. Did turn out quite good afterall. The Cloud Cuckoo car done. 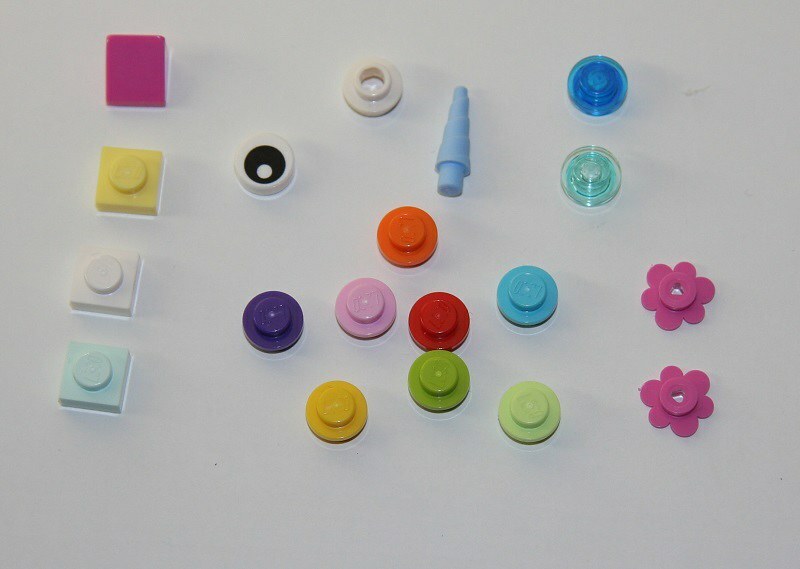 It delivered on fun when building, offcourse their wasnt much to it, but a lot of different pieces in all sorts of colours go into the build. And the finished result is just as satisfying. Back view of the Cloud Cuckoo Car, quite nice as well. 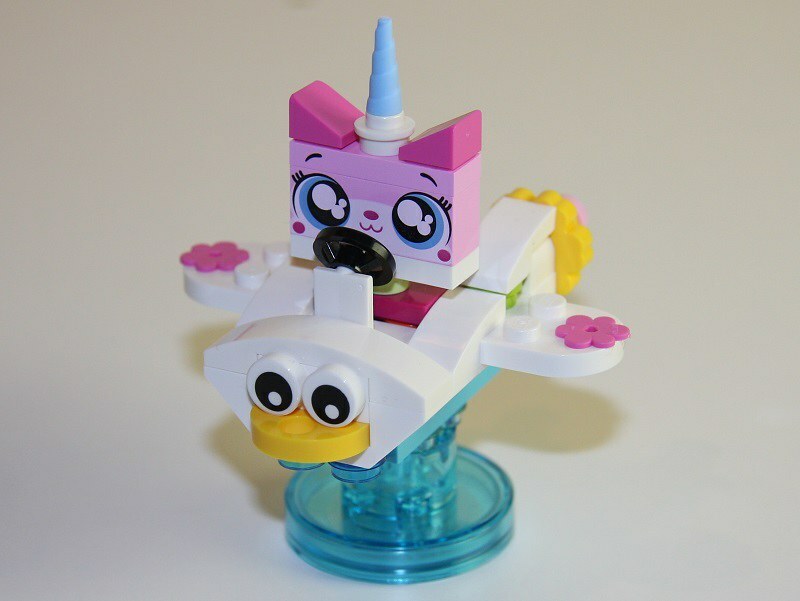 Unikitty riding her Car. 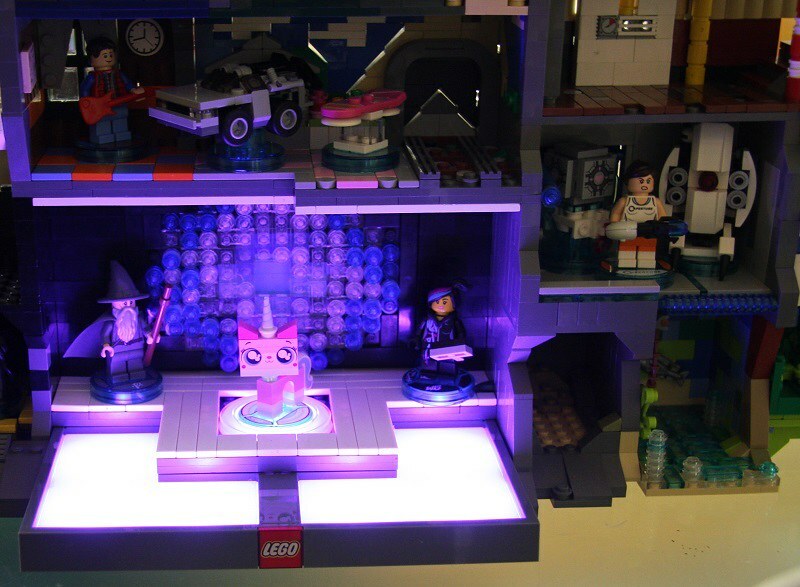 Definately does make a fine and usable build if your into the whole LEGO Movie universe. I surely love it and it will make a nice display model on my Dimensions build for the toypad for sure. All the rainbows colours. Quite a nice collection of spares i must say. 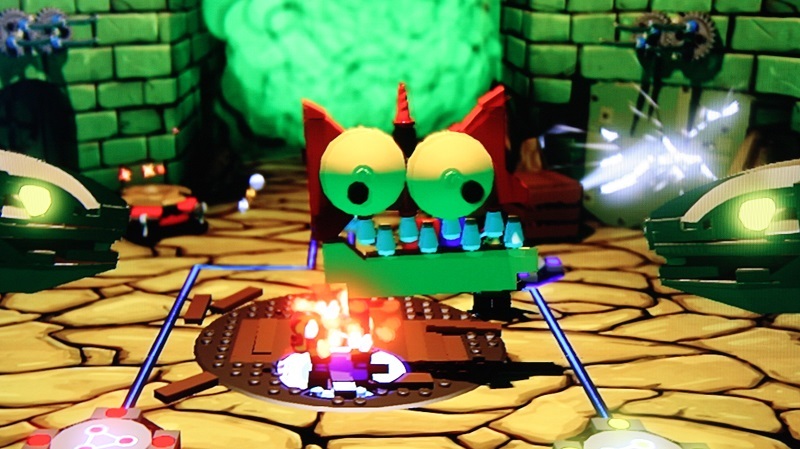 Last but not least an ingame picture of Unikitty in berserk mode. This is to say the least hilarious she goes totally nuts when in this mode and i just had to mention it even though, again i had to take a picture with my camera from the screen so its not that good. I havent been playing a whole lot yet with these builds, since i was more interested in trying to make a review. I will let you decide on your rating of it. For me its a nice package, the price tag is what it is considering it has both technonlogy and LEGO in it. But i feel its definately worth it if you enjoy playing LEGO Dimensions. Hope you enjoyed and please do comment. Youre welcome, and thank you. This is my first go on a review and i must say i found it very interesting. Thanks for commenting. Thanks for reviewing this! I'm planning on picking this up for the new Unikitty face print. Nice! I'm not sure why this review is here in Licensed, of course, but it's nice to have. I placed it here in Licensed , since the "LEGO Dimensions Physical bricks discussion" is also in here. So it made sense to place it here. 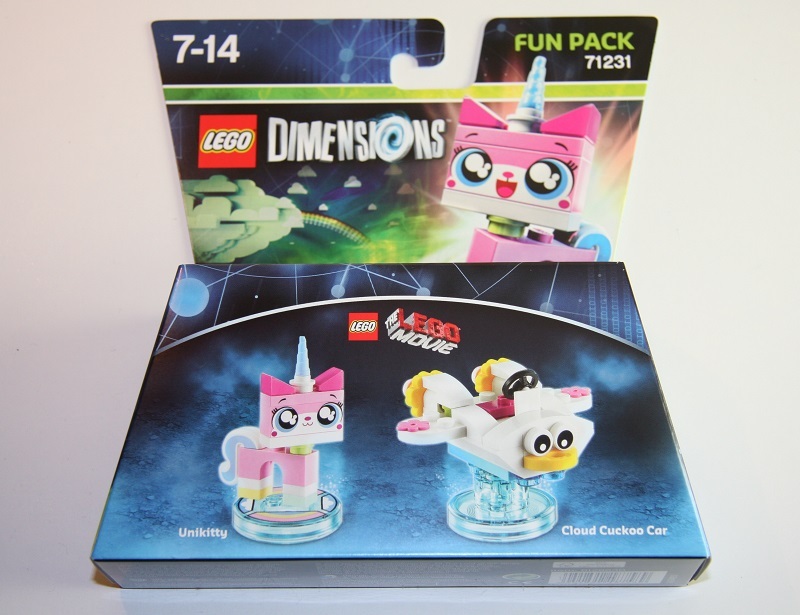 I've just gotten back into Lego by way of Dimensions and this looks like a must have fun pack, if only for the new Unikitty head print. Can't go wrong with more Unikitty. 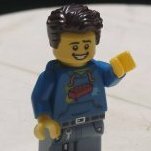 My problem with Unikitty is whilst she works well in The LEGO Movie as a fun character, as a minifigure she just looks too 'girly'. Think I'll probably pass on this. Indeed ... I also love them for whatever reason. Hehe ... Get what you meen. However i like her attitude and must also say that i for some reason like the shape and design for unikitty. And also its the only character with the rainbow ability for Dimensions so far. Went ahead and picked one of these up on Amazon. I am not disappointed in the slightest. Plus her unique in-game ability makes her a worthy investment.